Order Cherry Active Concentrate 946ml from the Online Health Food Store UK. Buy CherryActive ® Concentrated Montmorency Cherry Juice - 946ml and other quality Other Herbal Remedies safely online in the UK. CherryActive is a premium quality, tart Montmorency Cherry concentrate. CherryActive products are 100% natural and packed full of antioxidant-rich Montmorency cherries and contain no sweeteners, preservatives, flavourings or added sugar. Our UK Health Shop sells real Cherry Active and other Other Herbal Remedies from top-quality brands safely online to customers throughout the United Kingdom in England, Wales, Scotland and Northern-Ireland. View more products on the Online Health Food Store from Cherry Active. Where to buy Cherry Active Concentrate 946ml safely online? 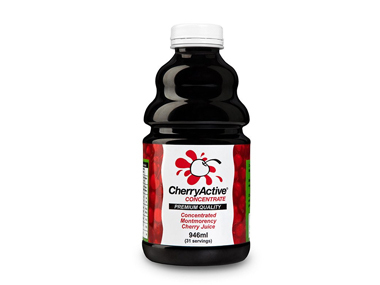 Shop at the Online Health Food Store if you are wondering where you can buy CherryActive ® Concentrated Montmorency Cherry Juice - 946ml safely online in the United Kingdom. Our Health Shop is located in the UK and our award-winning independent has been serving customers in England, Wales, Scotland and Northern-Ireland since 1976. You can buy our Other Herbal Remedies online and we post out orders to any UK address. Cherry Active Concentrate 946ml - CherryActive ® Concentrated Montmorency Cherry Juice - 946ml in Other Herbal Remedies and Herbal Remedies, Tinctures & Supplements.